This post is sponsored by my friends over at Butterball! 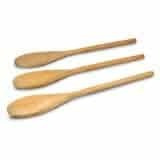 Without them we wouldn’t have delicious Turkeys at Thanksgiving! 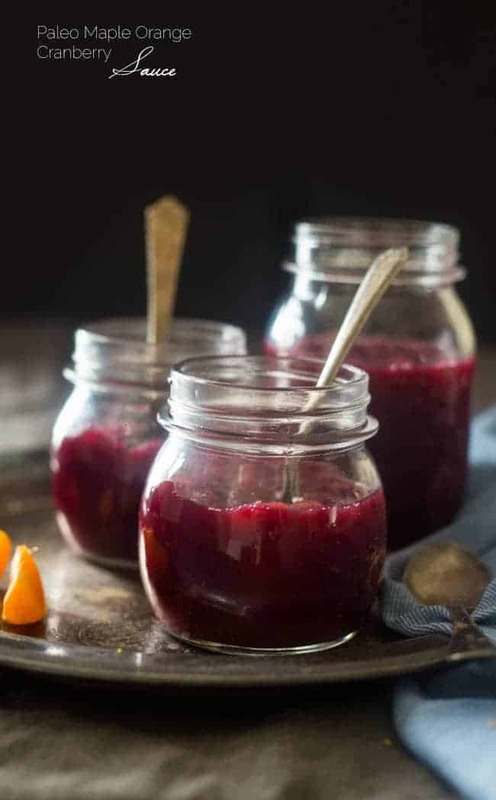 This healthy, homemade cranberry sauce uses only 3 ingredients and is Paleo friendly and refined- sugar free! It’s ready in 30 minutes and is perfect for Thanksgiving! You know what trendy thing I just could never jump on board the everybody’s-doing-it-train with? Why would I want to remember things I did on Thursday? Thursday is not the weekend. It is a work night. Therefore you never find me out doing anything cool, sipping on any delicious wine cocktails or really doing, well, ANYTHING. And liiiike, every. Single. Thursday. you would see this. And you thought being self-employed meant I got to frolic with unicorns all day long and do other super-fun and magical things like that. Anyway. Clearly, I dislike throwing myself back at Thursdays. So, I’m not gonna do it. And that’s my final answer for ever and always the end. Now, before you think I am sort of throwback-hating-grinch (wrong holiday?) let’s talk about the ONE version of this hip-and-happening Instagram hashtag that I am 110% TOTALLY ONBOARD with: #ThrowbackThanksgiving. I mean. Thanksgiving. When I think about ALL the Thanksgivings I’ve EVER HAD, I think about eating my weight in turkey, easy gluten free stuffing, roasted brussels sprouts and roasted sweet potatoes. Then having the BEST NAP OF MY LIFE EVER. Only to WAKE up from said best nap ever to PUMPKIN PIE AND PALEO PECAN PIE BARS. <– It’s Thanksgiving. Eating two desserts is DEFINITELY required to fulfill the “food eating quota” that comes along with this holidy. Seriously guys. I can throw myself ALL OVER Thanksgiving with memories like THAT. You all know and L-O-V-E Butterball Turkey…it’s sort of kind of, ok TOTALLY, the center piece of ANY Thanksgiving dinner. Do you remember when I cooked my first whole turkey last year? Obviously it was Butterball. And, yes, I did make a whole turkey for 2 people. The weeks of leftovers afterwards were a magical combination of days that my taste buds will never forget. I’m using the word “magical” a lot in this post. I’m just noticing this. Thanksgiving just calls for happy words like that. I also might be eating the aforementioned magical paleo cookie bars RIGHT NOW. Pre-grown-up-gotta-pay-bills-and-do-other-awful-adult-things Taylor used to squirt ketchup ALL over the bird. Like, we’re talking a WEE bit of bird to a BOTTLE of ketchup. Spot on ratios friends. We all know it’s all about the condiments. Except NOW the condiment that I want to swim around in and just eat with a SPOON, is not of the tomato variety, it’s of the cranberry variety. 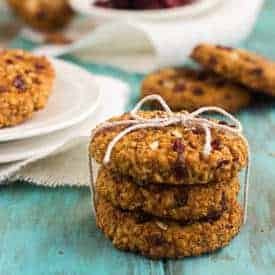 Tart and vibrantly-fresh cranberries that simmer in a warm bath of sweet, tangy orange juice and smooth, sticky-sweet maple syrup until they burst in a juicy EXPLOSION of fall-food deliciousness. Then mix all that with tiny flecks of orange zest, so that you get fruity-freshness in every.single.bite. You guys. You thought that weird, goopy, cranberry sauce from a can was good, wait until your try this maple-orange spin on it. FLAVOR OVERLOAD. In only 3 ingredients. And made in 30 minutes. You can’t even drive to store and get Grandma’s favorite canned cranberry sauce in that time. And you know what, even die-hard goopy-cranberry lovin’ granny is going to be all over this. More like it’s going to be ALL OVER her turkey this Thanksgiving. SSSHHH don’t tell her its paleo-friendly and totally refined-sugar free. It just means you get to eat more pumpkin pie. 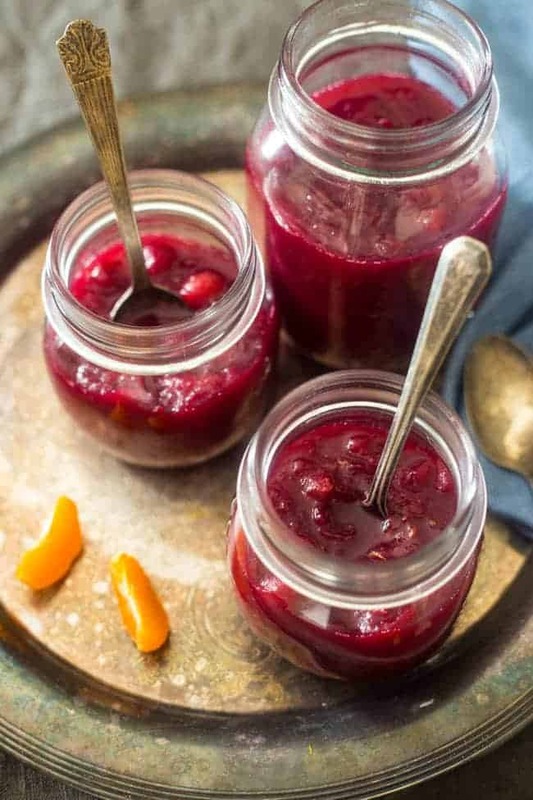 This healthy, homemade cranberry sauce uses only 3 ingredients and is Paleo friendly and refined- sugar free! It's ready in 30 minutes and is perfect for Thanksgiving! In a large pot combine the water, orange juice and maple syrup and bring to a boil on high heat. 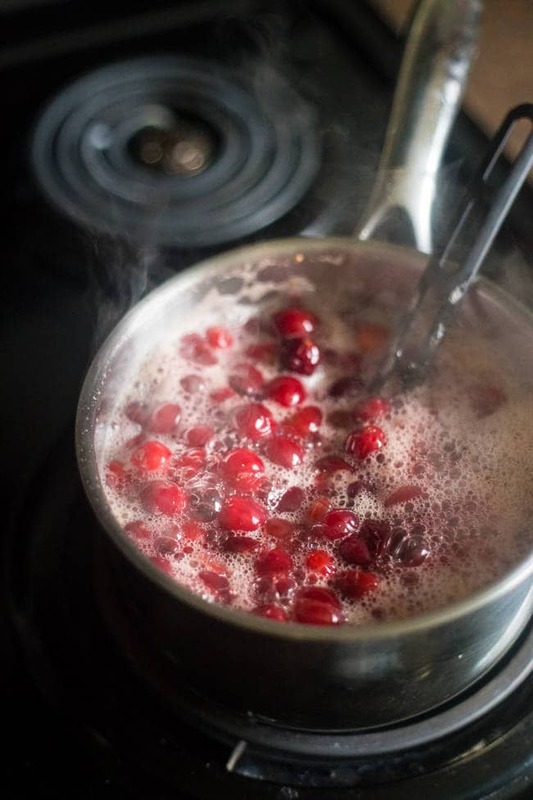 Once boiling, add in the cranberries. Bring the mixture back to a boil and then reduce the heat to medium, to keep it at a nice steady low boil. Cook, stirring frequently, until the berries burst and the sauce begins to thicken, about 30 minutes. Once ready to serve, stir in the orange zest and put it on ALL the things! 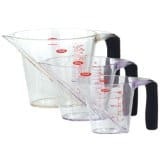 *Sauce is best made in advance, at least a day before serving. 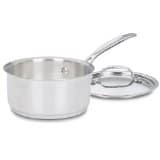 This allows the sauce to thicken and the flavors to really come together. THIS POST IS SPONSORED BY BUTTERBALL. THANK YOU FOR ALLOWING ME TO CONTINUE CREATING GREAT CONTENT FOR YOU BY SUPPORTING PARTNERSHIPS WITH AWESOME BRANDS THAT FFF LOVES TO WORK WITH! AS ALWAYS, OPINIONS REMAIN 100% MY OWN. Stay in touch with Butterball on social media: Facebook / Twitter / Pinterest / Instagram If you want more delicious Butterball Turkey recipes, make sure to download the app here! Woah!!! Who knew it was possible to go past the bounds of plain ol’ cranberry sauce? This is the best Monday news of my life! So happening!! BAHAHA I love your cranberry sauce enthusiasm!! Thanks Tori. Let me know if you do try it please! 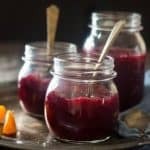 cranberry sauce is my favorite thanksgiving side dish ever! I love that you made it healthier with maple syrup instead of sugar! Noms! YES! Now you can DRENCH your Turkey in it without guilt 😉 Thanks girl – hope you had a great weekend! I’m happy you’ve switched condiments to this cranberry sauce. It looks amazing! I only made homemade cranberry sauce for the first time maybe 5 years ago and was blown away by how much better it is than the canned stuff. Isn’t it crazy how something so easy is SO much better?! Thanks Erin! 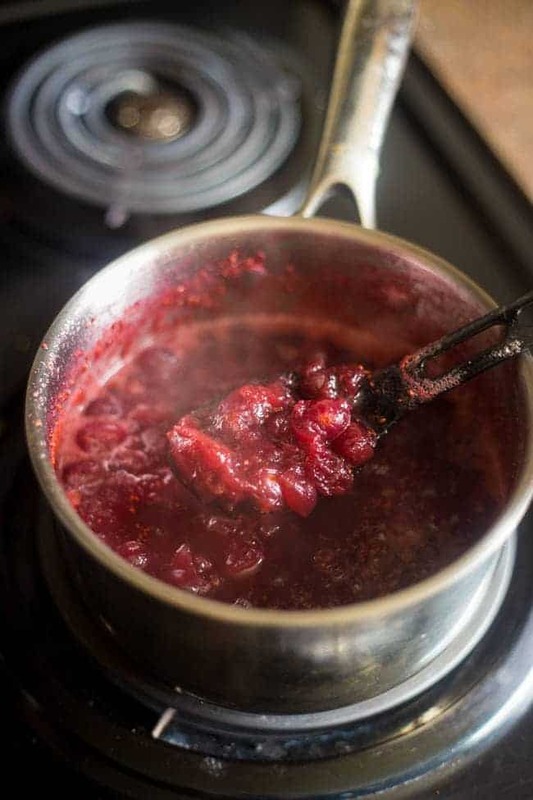 Nothing better than homemade cranberry sauce. I am a boring #throwbackthursday gal too. pj’s- computer – boring! I’m glad I am not the only one 😉 Thanks Amy! This looks great, Taylor. 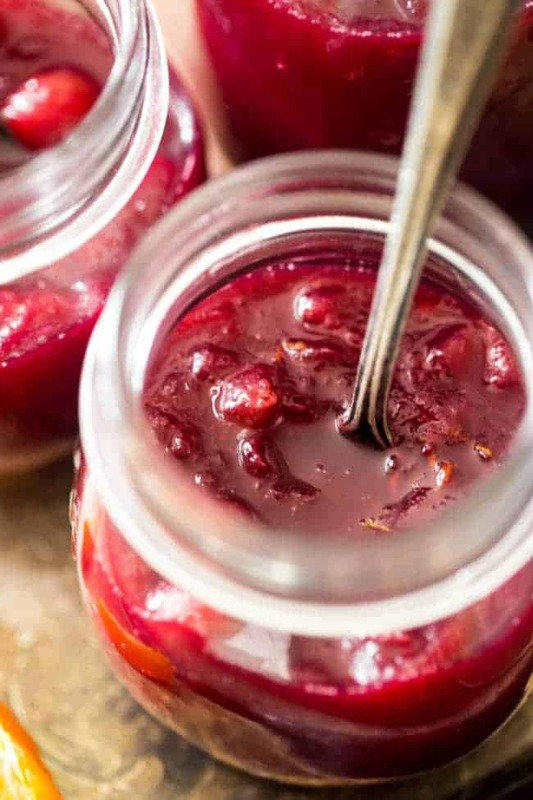 Homemade cranberry sauce is a MUST at Thanksgiving. No canned stuff for me! I’ve never made it with maple syrup, which I kind of can’t believe now given my extreme love for that stuff. Can’t wait to try it out. Yeah! RIGHT! The canned stuff is basically Jello. Totally creepy. 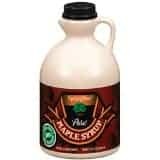 You NEED to try it with Maple – you’ll love! Thanks Liz! Believe it or not, I usually pass on the cranberry sauce–I definitely don’t think I’d pass on this version though! Cranberry+orange is such an awesome flavor combo–pinning! Yes, Cranberry and orange were basically MADE for eachother! I hope you love this one girlfriend – thanks! Each year I make 3-4 kinds of cranberry sauce, and we have a taste test to see which one is our favorite. This is going into the lineup this year! That sounds fun! I want to come to the tasting party! and thanks Dorothy! This looks awesome, Taylor! I have a similar recipe coming soon but it involves plenty of brown sugar. 😉 I bet the maple adds great flavor! Haha, you know me and my no brown sugar usage 😉 Thanks lady! Looking back is pretty fun though! I love the TimeHop app…its throwback Thursday every day! And cranberry orange sauce? I want to just spoon it on everything! I don’t know that app! Must try it! Thank you girl! girl, I can’t even believe it’s November already. . yes, I need to start planning for Thanksgiving!!! I’m all about the homemade cranberry sauce!!!! I love this! I KNOW RIGHT! The time is FLYING! Thanks Alice! Haha. I never participate in #throwbackthursday, either. But only because I’m too lazy to go digging for old pictures. I’m not too lazy to make this sauce, though – delicious! Bahah, you and me both! So much work to look for photos! Thank you Amy! I cannot eat my turkey dinner, turkey grilled cheese or even turkey burritos without a big old slather of cranberry sauce. You’ve got my number with this one Taylor. I knew I could find the way to your heart girlfriend 😉 Thanks! I always hated cranberries as a kid, then I finally got to make them on my own as an adult…a little bit of orange juice and suddenly LOVE!! RIGHT! Orange is MADE for cranberries!!! Thank you Amanda! Ha, I am totally down with ThrowbackThanksgiving! Especially if that means I can eat this delicious Cranberry sauce every Thursday on repeat, like a nosh-sesh of Culinary Groundhog’s Day. This sauce looks fabulous, Taylor! 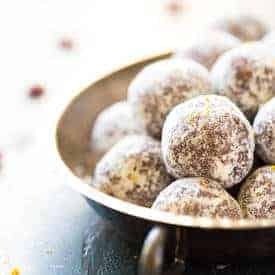 Love that it is only 3 ingredients, WITH NO refined sugar, AND can be done in 30 minutes! Total Winning, for sure! Pinned! Cheers, girl! Haha YES Thursday on repeat sounds like a BRILLIANT idea! Thank you so much friend! Looks so delicious Taylor! 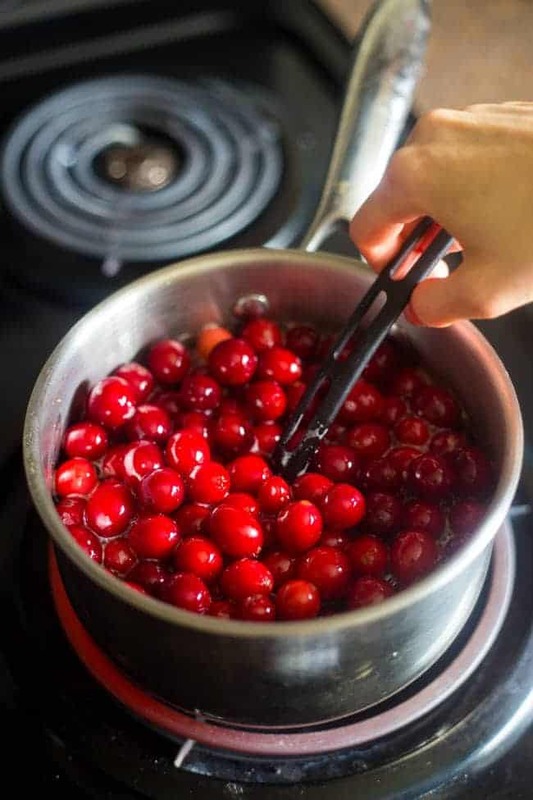 I and my wife make cranberry sauce every year, we will follow this recipe! I hope you love it Lawrence – please let me know if you try it! Thank you! Oh I love cranberry sauce!! So great to have maple in it!! I actually don’t think that weird goopy sauce from a can is good, but this look amazing! No, that weird Jello stuff is definitely interesting 😉 Thanks Alisa! I am so in love with the flavors here! Great use of maple too! NOM! I’d slather that cranberry goodness on toilet paper. It looks THAT good! But for the sake of not weirding you out, I’ll opt for a big ‘ol turkey slice (or 15) instead. I love cranberry sauce for Thanksgiving!! HAHA I love you! You’re hilarious. Thanks Chrissa! You totally need to try it, it really adds great flavor! Thanks lady! Oh my goodness I love this cranberry sauce so much! Pinning! Thanks for the love and pin friend! I have never cared for cranberry sauce. I did make some one year and it was pretty good. I would like the orange in it. I made my husband a turkey, swiss cheese, and cranberry sauce sandwich on a panini press. He loved it. That would be a delicious sandwich! The orange really adds some good flavor! What a beautiful recipe!!! Love!! I love homemade cranberry sauce. I shall have to try this recipe. I hope you love it Debbie! thanks! Hi! I really can’t tell you about the almond slices, because I’ve never heard of that being done, so I didn’t test the recipe that way – I’m sorry! I THINK it would be okay? But I can’t tell you for sure! Hi, I only have from concentrate OJ. Do you think it would be okay to substitute that for the not from concentrate type? Trying to avoid a trip to the store with the kids if at all possible. 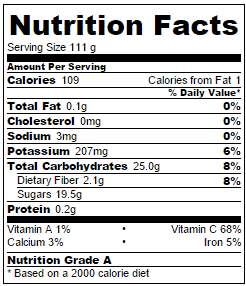 Probably, it just might be pretty sweet, as it has a lot of added sugar. Unfortunately I can’t tell you for sure, as the recipe wasn’t tested that way – I’m sorry! Please let me know if you try it!